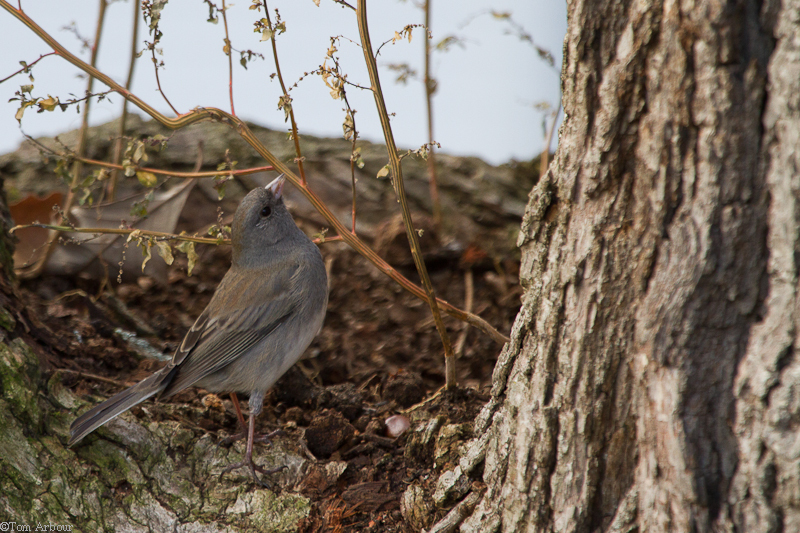 Dark-eyed Junco reaches for the seeds of Lamb's Quarters...Quinoa for the birds! On November 22 I attended a lecture by Moose Peterson, one of the pioneers of digital wildlife photography. Moose is a Nikon shooter who has recently been really getting in photographing WWII airplanes from other WWII airplanes. Admittedly, before I went to his lecture, I wasn't one of his avid followers. I wasn't sure I even wanted to plunk down the $20 bucks for a two hour talk. However, it wasn't more than twenty minutes into his presentation that he really made a connection with me. Moose has both a passion and understanding of both wildlife AND photography. It's a passion for two things, when combined, creates something much bigger than a camera or a wildlife research study alone can produce. Moose really is 2/3 wildlife biologist and 1/3 photographer. He, perhaps more than anyone I've met, understands what it's like to be both a wildlife professional and a photographer. I live in both of these worlds. Needless to say, finding common ground with Moose and his work was just the spark I needed to get out my long telephoto lens more often. After the talk, I learned about his BT Journal, a quarterly magazine for wildlife photographers. The most recent "bonus" edition, available as an electronic only e-book, focused on a topic that Moose addressed in his talk. His thesis is simple: the best place to learn wildlife photography is in our own backyards. He gives tips for luring wildlife to any home, including high rise apartment buildings, and provides technical photography guidance as well. 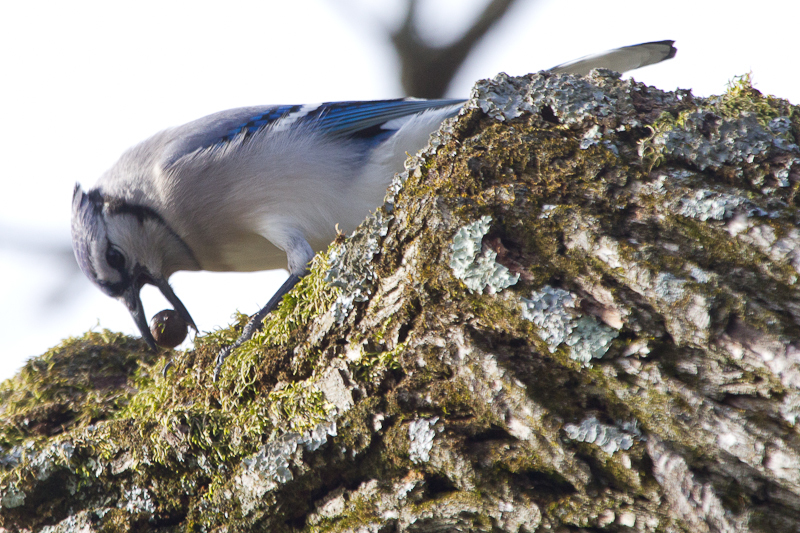 A blue jay finds a cached pin-oak acorn in the furrows of our bur oak. Needless to say, his special edition of the BT Journal reinvigorated my own passion for backyard wildlife photography. I spent Sunday looking out the windows of our house like I haven't done since Weston was a wee little baby, and I felt ten years younger to boot. And that my friend, was worth the $20 admission. If these pictures are the result of looking out the window,then keep on looking. Both are fantastic images. Awesome photographs. It's true about feeling younger looking at nature, reminds me of being a kid again in the back yard. That first image of the junco almost makes the bird look taxidermied, like it's in a diorama at a museum. Nevertheless, they're great images. Very good advice. Also, if I'm in field-wildlife-biologist-mode, stopping to take pictures slows things down, so I'm reluctant to do it when I'm on the clock, esp. if I'm working with a team (which I usually am). When kicking around my own property, though, my time is my own. =) I'll have to check his stuff out, esp. re: making your home (my interpretation = areas near my windows) wildlife friendly. Glad you went! When I'm working in field wildlife biologist mode, I keep my camera at home. For the most part, I'm using my iphone. If I'm in field botanist mode doing meander type search botanical forays, I've got my camera. Yes...check out Moose's tips. They're not anything you or I couldn't think of, it's just him laying it all out for me really motivated me to take some backyard wildlife images. 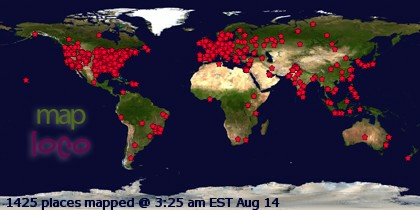 With that, thank you all for taking the time to read and view my photographs. Your time is much appreciated. I know there are plenty other blogs out there to read and comment on.